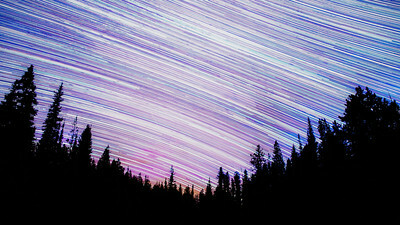 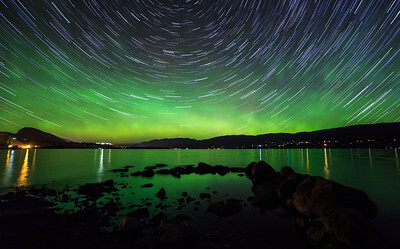 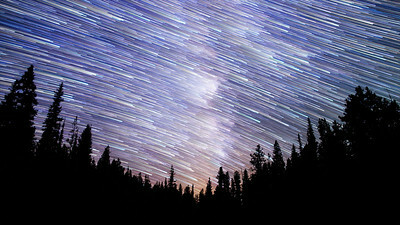 Star Trail shots from around the Okanagan area of British Columbia Canada. 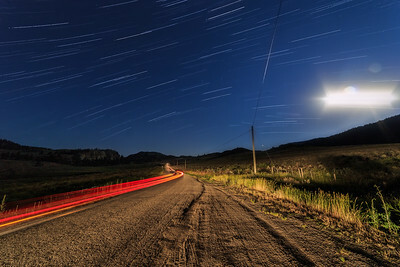 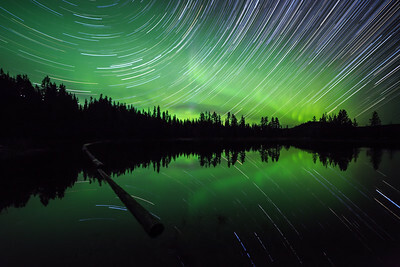 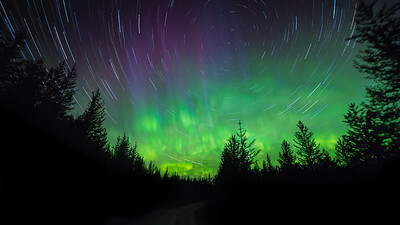 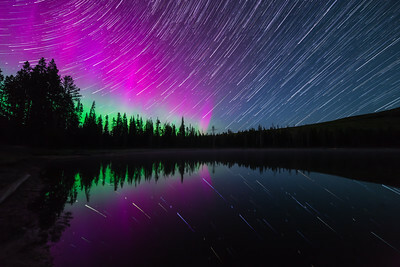 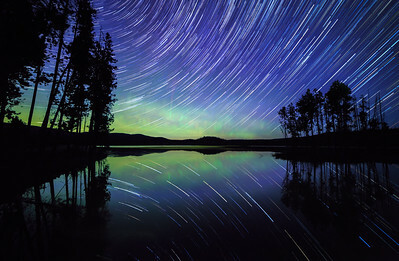 Startrails involve shooting either long time lapse sequences or extremely long exposures. 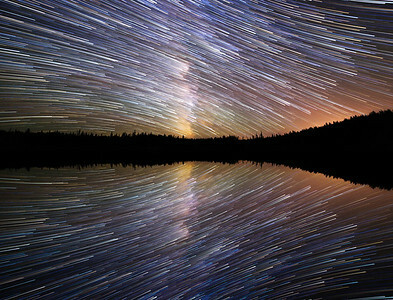 The result is always a little mind bending. 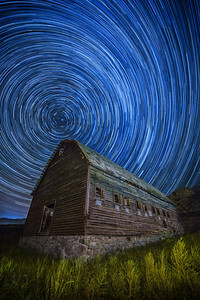 Startrails show the apparent movement of the circumpolar constellations due to the rotation of our planet. 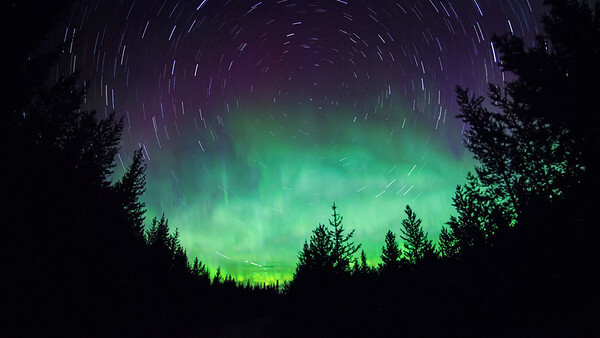 They are relatively easy to create. 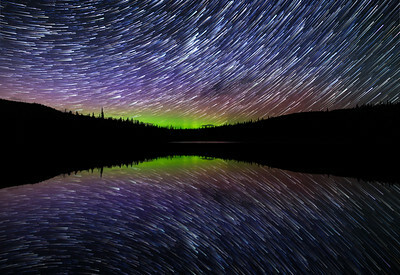 All one needs is a decent DSLR, A shutter remote, patience and some good software to stack the images. 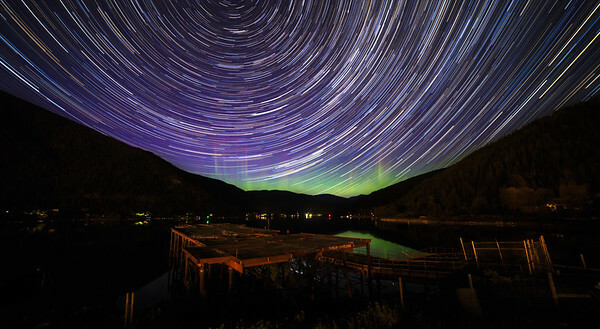 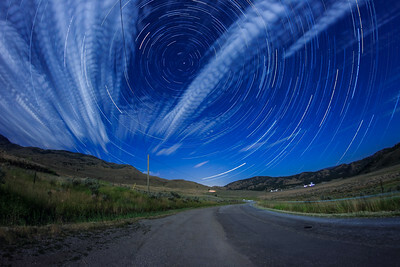 Check out this collection of startrails! 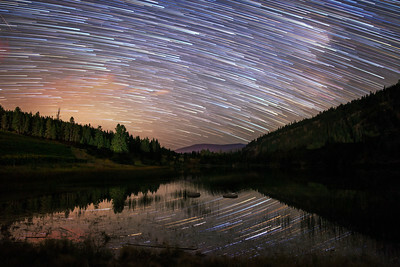 A Startrail over White Lake Valley. 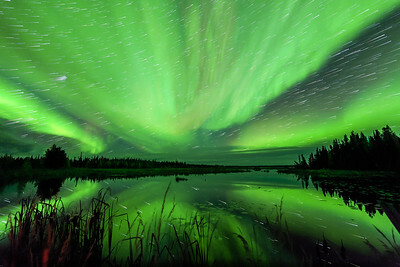 A startrail shot during a northern lights show in the North West Territories of Canada. 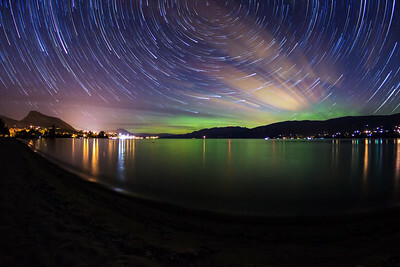 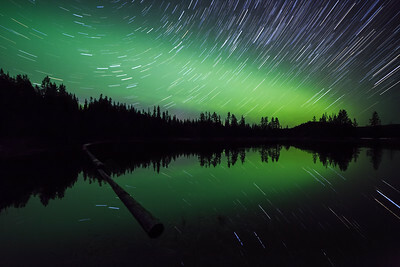 A Triple Mirrored image of a startrail shot at Idleback lake near Penticton BC Canada. 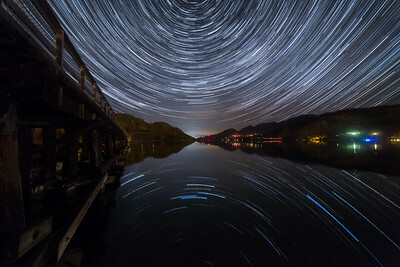 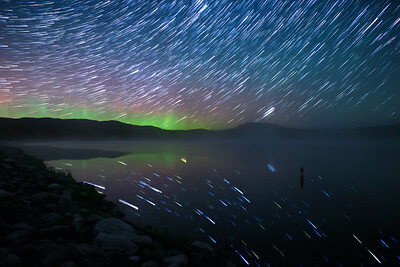 A misty startrail shot up at Ellis Reservoir, just East of Penticton BC Canada.